"My strongest subject at GCSE was mathematics which helped me to decide to carry on with it at A level. So I applied to college to study mathematics, psychology, sociology and biology. After my first year, I realised that biology wasn’t for me and that I wanted to concentrate more on the other subjects. When it came to applying for university, I had decided I wanted to be a mathematics teacher and to do this I needed a mathematics degree before going onto a PGCE. I began looking into universities that offered mathematics degrees with optional modules to study education as well. I applied to five universities including Plymouth, and once I had received my conditional offers I went to their open days to help me make my final decision. Plymouth University offered me the type of course I was looking for, whilst studying in a lovely area where I felt I could enjoy three years of my life. The lecturers at the university made me feel comfortable and at ease to ask questions, which for me was a really important aspect in my education if I wanted to get out of it as much as possible. Another factor in my decision to attend Plymouth University was that the campus was so central and everything was within walking distance, compared to other universities where I would have had to travel into university every day. Throughout the first year and a half of my degree I was heading towards becoming a teacher. It wasn’t until in my second year, where we studied a module that helped us think more about the careers available for a mathematics graduate, and where we did a group project into a topic of our choice. My group decided to look at statistics in the media, where we looked into how valid the statistics where and whether they portrayed the real meaning. During this project I had to research the statistics in women’s magazines and I got in touch with Glamour magazine to ask about how they carried out their research. The lady I was put in touch with was extremely helpful and I found the whole project really interesting that I decided to ask if they offered work experience in their media research department. During the summer at the end of my second year of University, I worked in London at Condé Nast Publications for four weeks, unpaid. This work experience was invaluable, and I am really pleased I did this as it helped me make the decision that this was the industry that I wanted to work in. When I left, the company asked me to keep in touch, and said they would let me know about upcoming jobs in their department. The final year of university was extremely busy with so many deadlines and I was also trying to apply for jobs in my spare time. I was lucky enough to find a job vacancy with Condé Nast Publications in the Media research department as an intern, which I applied for straight away. The people I had worked with over the summer break got in touch with me and asked if I could have a telephone interview. By the Easter holidays I had been offered the job and accepted to start pretty much as soon as I had finished university, at the end of May. Unfortunately after the six month internship was up I had to start job hunting again as the company I was with were not able to offer me a permanent position. I decided I wanted to carry on working in the Media industry as I found the work really interesting and the social side is great fun too. I applied for different types of jobs from a digital analyst to a research executive. After a couple of different interviews I finally found a company I wanted to work for whom also wanted me. 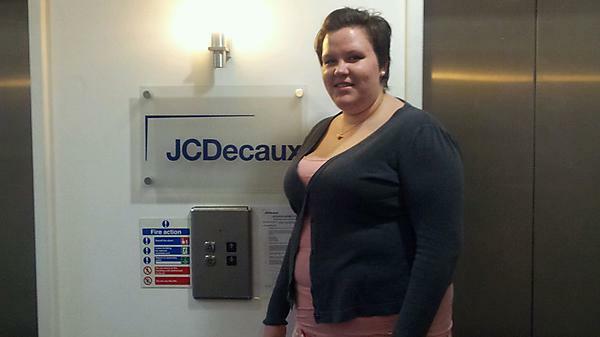 I now work for a company called JCDecaux, which is an outdoor advertising agency (they sell outdoor advertising space). My job is in the marketing department; my role includes researching the audience of our advertising sites in the airports and pulling together compelling statements which will help the sales team sell the space. My day to day tasks include using large surveys carried out by other companies to pull together statistics, using different software and to put these into a presentation format. I have recently worked on a large presentation into Luxury brands, and why they should advertise in the airport which I really enjoyed as I was able to pull in my knowledge gained from working at Condé Nast, a luxury magazine publishing company. I believe having a mathematics degree helped me get this job because I am numerate, with a broad understanding of manipulating figures and general statistics, which results in me getting basic tasks completed quickly. I also gained a greater understanding of the use of Excel which has helped me in both of my jobs so far. When I left Condé Nast, they advertised for a new intern and changed the job description to ask candidates to have a mathematics/statistics based degree with a good understanding in Excel, this was changed after I had worked with them and they then realised how much a mathematics graduate could bring to the company."